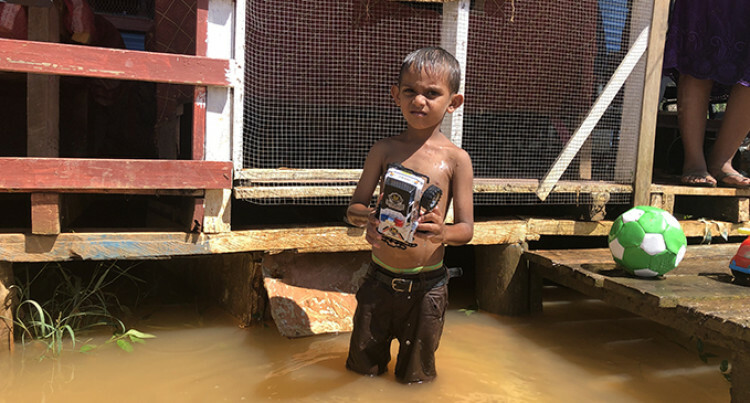 4-year-old Antriskh Lal in front of his home in Waidamudamu Settlement in Koronivia on January 21, 2019. Photo: Sheenam Chandra. With her husband being the sole breadwinner in the family, Somal Radhika Chand along with their only son are finding it hard to recover after heavy rain caused flooding on Sunday. 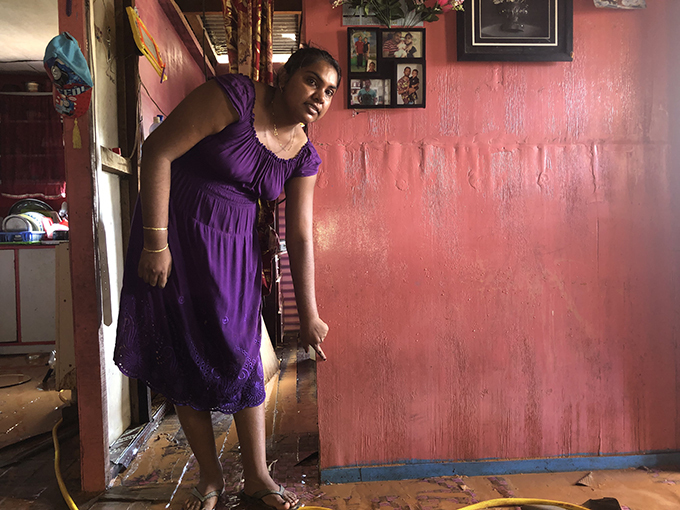 A pregnant Ms Chand, 25, and her family were one of the many whose houses were affected during heavy rain at Waidamudamu Settlement in Koronivia. “After we got married in Labasa, I came with my husband in 2011 hoping for a better future for our family,” Ms Chand said. “However, this area is prone to flooding and the drainage system is poor. Husband, Abinesh Chandra Lal, who is a driver by profession said the total damage by the floodwaters was around $4000. “Flood waters entered our house many times, but this is the most severe one that we have encountered,” he said. “The Government has developed this area, but for some time now, the work has been halted and this affects our livelihood. Ms Chand said they needed to be enlightened by the Government if there would be any developments taking place in the area or not. “If there is no sort of development taking place, please tell us so that we can relocate elsewhere,” she said. “We have no proper electrification because Government has said they would provide electricity for us people. Since 2017, we have been told that plans had been made to provide us with electricity. There are about 271 houses and more than 30 houses that were affected in the recent flooding.